$1,500,000 settlement for a 50 year old construction worker who fell from a scaffold causing multiple fractures and surgery. $1,300,000 settlement of a 61 year old construction worker who fell from a defective ladder causing lumbar fractures and surgery. $1,250,000 settlement for a 29 year old male who was seriously burned when an outdoor grill exploded due to a defective propane tank. $950,000 binding arbitration award for a 49 year old woman whose vehicle was struck by another car which passed a red light. The woman sustained numerous neck and back injuries with resultant surgery. $850,000 settlement with the City of New York for a 49 year old male whose vehicle was struck by a New York City Dept. of Sanitation vehicle and caused significant neck and back injuries. $700,000 settlement for a 61 year old construction worker who fell from a ladder sustained a serious injury to his foot and ankle. 675,000 verdict and settlement for 2 men in their Twenties both of whom sustained neck, back and knee injuries as a result of a motor vehicle accident. $650,000 settlement of a 55 year old construction worker who fell from a temporary scaffold thereby sustaining serious neck and back injuries with surgery. $650,000 settlement of a 54 year old construction worker who sustained neck and back injuries on a construction site due to debris that was not cleared. $550,000 settlement for an 84 year old woman who was a passenger in a motor vehicle involved in an intersection accident; she sustained serious injuries to her hip and leg. 525,000 settlement for a 28 year old man who sustained neck and shoulder injuries with resultant surgery due to a motor vehicle accident. $500,000 settlement for a 34 year old man who was struck by a motor vehicle while operating a motorcycle; he sustained a serious injury to his leg and hip. 500,000 Settlement for a 58 year old woman who sustained wrist and neck injuries with surgery due to a Slip and Fall accident. 500,000 settlement for a 29 year old man who sustained neck and knee injuries with resultant surgery due to a Motor Vehicle accident. 500,000 settlement for a 56 year old man who sustained neck and back injuries with resultant surgery due to a Slip and Fall on ice accident. $478,000 settlement for a 59 year old construction worker who fell from a ladder injuring both wrists. 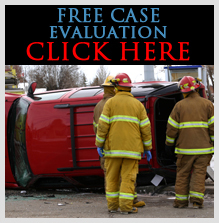 $475,000 settlement for a 47 year old woman injured in a motor vehicle accident when her car was struck in the rear. She sustained neck and back injuries with resultant surgery. $450,000 wrong death settlement of a 40 year old man who while riding a moped was struck and killed by a young motorist. 450,000 Verdict and settlement for two young boys who sustained facial lacerations and scarring due to a motor vehicle accident. 425,000 settlement for a 54 year old man who sustained neck and shoulder injuries with resultant surgery after being struck by a High low in a warehouse. $425,000 settlement of an 81 year old woman who was pedestrian struck by a vehicle as she crossed the street sustained multiple fractures. $425,000 settlement for a 41 year old man whose vehicle was struck in the rear and resulted in neck and back injuries with resultant surgery. 425,000 settlement for a 61 year old man who sustained neck injuries with resultant surgery due to a pedestrian knockdown accident. 400,000 settlement for a 25 year old man who sustained neck and shoulder injuries with resultant surgery as a result of a motor vehicle accident. 395,000 settlement for a 45 year old man who sustained thumb injuries with resultant surgery due to a construction site accident. $375,000 settlement for a 47 year old man who was struck by a motor vehicle while he was riding his motorcycle; he sustained serious hand and leg injuries. 350,000 settlement for a 50 year old woman who sustained neck injuries with resultant surgery due to a motor vehicle accident. 325,000 settlement for a 29 year old man who sustained neck and shoulder injuries in a motor vehicle accident. 300,000 settlement for a 55 year old woman who sustained bilateral shoulder injuries with resultant surgery due to a motor vehicle accident. $300,000 binding arbitration award of a 45 year old woman, whose vehicle was struck by another car, thereby sustaining neck and back injuries with surgery. $250,000 settlement for a 47 year old woman who was injured in a motor vehicle accident and sustained neck and back injuries with resultant surgery. $250,000 binding arbitration award of a 43 year old woman whose vehicle was struck by another car causing serious neck and back injuries. $250,000 settlement for a 19 year old male whose vehicle was struck by a hit and run vehicle causing neck and back injuries and surgery. $250,000 wrong death settlement of a 83 year old wheelchair bound woman who was gravely injured as she was being transported to a senior center. $237,000 settlement of a 31 year old construction worker who injured his wrist while carrying a large gas canister up a scaffold stairs. $235,000 settlement of a 47 year old construction worker who was seriously injured when a stairway collapsed and he sustained leg and back injuries. $225,000 settlement of a 39 year old woman who slipped and fell on ice and sustained a fracture and surgery to her ankle. $225,000 for a 17 year old boy who was injured in an accident in the lobby of his high school. He sustained serious cuts and lacerations with scarring. $200,000 settlement for a 62 year old woman who tripped and fell on an uneven gangway while trying to climb onto a ferry. She sustained serious leg injuries. David N. Sloan, ESQ. will make hospital and house calls to clients.